The Cardiothoracic Intensive Care Unit (CTICU) is an 8 bed critical care unit that cares for patients during the time immediately after Open heart or chest surgery. Patients are kept there for approximately 12 to 48 hours. In this unit, patients are closely monitored and receive frequent tests and assessments afterwards moved to either the 2nd ICU unit/ step-down unit. Patients who leave the intensive-care unit still need constant monitoring and may be transferred to a step-down unit; it is also called 2nd ICU. Here, patients' heart rate and rhythm, blood pressure, blood oxygen, respiration and medical conditions receive close attention. It is here the first phase of rehabilitation begins. A cardiac surgeon and a cardiac nurse is always present 24/7 to take care of the patient, guiding him in his diet and other activities. Here the ratio of patient: staff is 1:2/3. 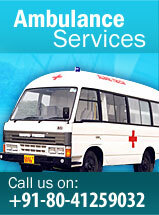 Medical staffs are present 24/7 hours a day and provide continuity of care for parents. 5-minute visits are allowed each hour in the immediate postoperative period. Only two family members may visit at one time.